As much as Christy Clark loves politics, it hasn't consumed her life. In fact, back in 2004 when Clark was B.C. 's deputy premier and a new mom, she quit politics to spend more time with her family. Fast forward seven years and Clark is now the premier of B.C. 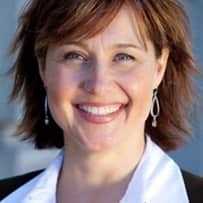 At 30, she won a seat with the provincial Liberals, and when they took power in 2001 Clark became education minister - then went toe-to-toe with the teachers' union over issues such as class size and the role of parents in the classroom. When she stepped away from government Clark carved out a new career as a columnist and host of her own talk-radio show. But then politics came calling again. Last fall, former Premier Gordon Campbell resigned after bringing in the unpopular Harmonized Sales Tax. Clark threw her hat back in the ring, won the party leadership and was sworn in as premier. But she has her work cut out for her. She has to get elected to the legislature. Her party's popularity dropped big time over the HST. And there's a referendum coming on the tax. Then, there are the critics. The opposition NDP says Clark is just "more of the same" and was one of the most confrontational ministers of the past decade. But Clark is promising change, by creating jobs, fighting poverty, and putting families first.